This isn't new information for me. My wife is a Suzuki teacher, and my son started cello instruction at the age of 3. I have many friends in the Early Childhood Music and Movement Association, Music Learning Theory, and Dalcroze worlds who have done wonderful work with preschool children. But unfortunately, no one has created a society-wide system to address the gap. Another new perspective for me was the joint private/public partnership that Motif's music classes represented. I am a second-generation public school teacher and strong supporter of our teachers' unions. I served as a building representative and on the negotiations team of the Waterloo Education Association for several years. So the concept of non-district teachers coming into my school and teaching enrichment classes is troubling for several reasons. First, as private company employees, these teachers don't have the same protections that unionized teachers typically enjoy. Second, this can be seen as a form of "outsourcing", and is potentially taking away from the positions of traditional teachers. The history of privatized education in America is full of low-paid staff, poor-to-average student outcomes, and for-profit companies making money at the expense of children's education. After seeing the work that Motif was doing, however, I see that there is something positive about the ability to design, implement, and experiment outside the structures of a typical school-teacher's day. Specifically, Motif takes the time to train their teachers on a method and curriculum, and keeps track of their progress. I can't think of a single administrator in public schools that I've worked with that really ever understood my curriculum, and I know of too many teachers who basically stop pursuing professional growth when they graduate with their bachelor's degree. What if we had a system where music teachers across multiple districts were supervised and trained by a music person? The quality of teachers might actually improve. Of course, I completely agree with the dangers behind modern technology. Even before the smartphone boom, I saw how recorded music technology over the past century has largely moved our society from music makers to music consumers, and the myth of "talent" has grown with the increasingly popular view of music as a specialized profession, rather than a form of human communication available to all. (This is also connected to the lack of experience young children have to music as mentioned above). Whether it's the structure of schools, the influence of society, the abilities of students, or the influx of technology, being a music teacher in the 21st century is going to be all about change. I'm proud to be a lifelong learner, and hope that I can continue to help other teachers tackle the issues that arise! If you thought Unison.School was only useful from a computer, you need to try it from your iPhone or iPad! In Safari, navigate to https://unison.school, and then click on the "share" button (a square with an upward-pointing arrow). You will see, in the bottom row of options, the choice to "Add to Home Screen". Double-check the title here, and click the "Add" button. You will now see an icon on your home screen, just like any app! When you open Unison.School from the home page, it will open in full-screen, without the Safari toolbars! 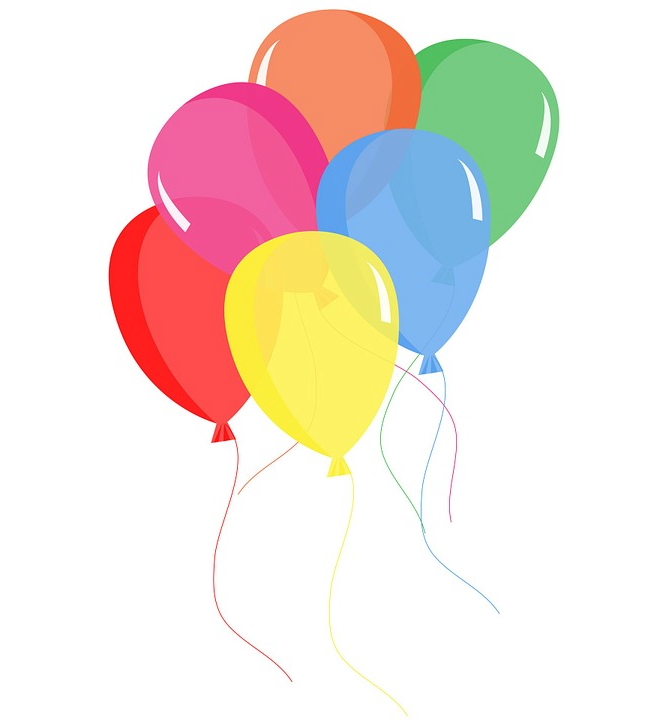 Enjoy your newly installed lesson planner, gradebook, pocket instrument, and assessment tool! And don't forget to register to unlock your free 5 lessons and 5 classes for assessments! One of the most challenging aspect of teaching music to children is handling disruptive and off-task behavior. A perfectly planned lesson with engaging material, exciting activities, and meaningful learning objectives can turn into a moment of questioning one's career or sanity with just a few children disrupting a class. Rows - Some teachers use staff lines created out of vinyl tape (for hard surfaces) or Velcro strips (for carpet). 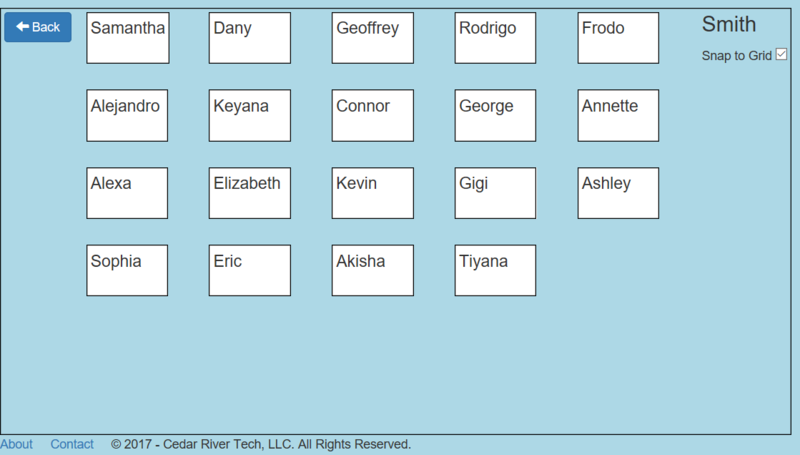 Rows are nice for giving assigned seats and making a seating chart. This can certainly help with management issues, by separating groups that talk too much. Circle - If you ever have the chance to design a new music room, ask for a large circle in the carpet! Circles allow all students to see and hear each other, and create a natural flow into activities such as circle games, rotations, or taking turns in the center. Plus, with a visible circle on the floor, you can teach your Kindergarten classes to simply "follow the leader" to find a seat! Semi-circle - The semi-circle combines many attributes of the circle with the ability to all see to the front of the room. This is an excellent setup if you choose to use chairs or stools instead of having students sit on the floor, as the chairs can remain against the outside while leaving space in the middle. Scattered - Many activities call for students to have plenty of personal space. You can achieve this with little vinyl circles (there are several commercial options available) or by training the class on how to find their own space (stretch out arms without touching). 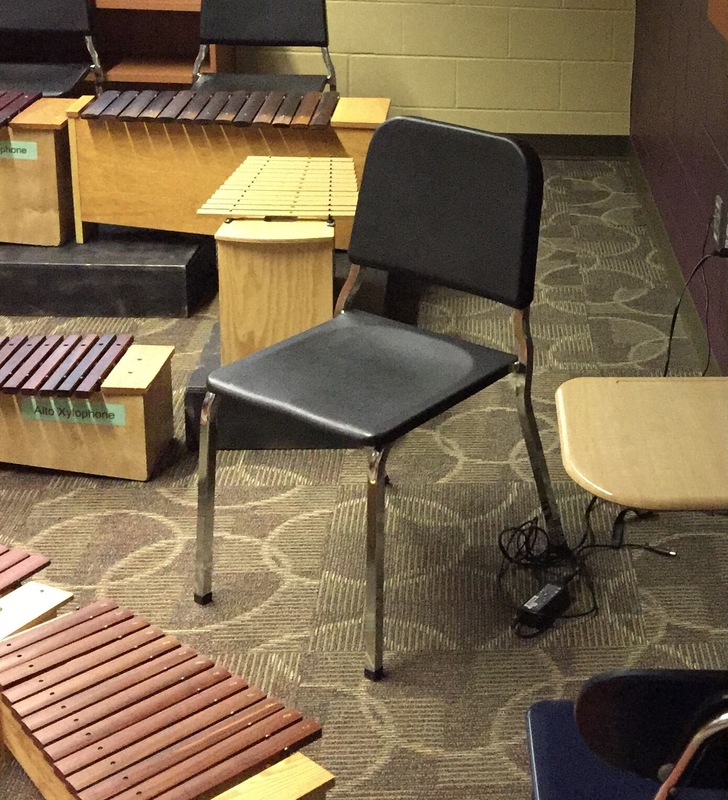 Be sure to establish boundaries, so students don't make choices like sitting behind instruments! Greet at the Door - Regardless of how busy your schedule is, there is nothing more important for setting a positive tone than welcoming students to the class. This gives you a chance to greet them, give seating or opening activity instructions, and show them you are happy to have them there. Opening Activity - Many teachers establish an opening song, warmup stretch routine, or even silent meditation as the students enter. Experiment with different routines for different age levels, but give your routine several months to see if it is helpful. The goal is to clear away baggage (frustrations, fears, anger) that the students bring with them from other classes or their home life, and have everyone ready to make music and learn. Transitions - Children are naturally excited by much of the music classroom environment. They are not naturally careful. Anytime you are changing positions, especially when moving to instruments, it is important to not only discuss but practice the transition. The time spent up front to do this will save time later. Inspire - Often you can achieve full participation by simply launching into an engaging activity, and starting with the most enthusiastic students. The first reaction to those refusing to participate can be to ignore, and focus on those having fun. See how many you can snag with an excellent lesson. One-on-One - Take aside those students who won't participate and quietly explain your expectations, while acknowledging their feelings and concerns. Assure them that you won't single them out or embarrass them if they are participating quietly with the class. A little heads up can really help them be prepared to be fully involved next period. Set the Class Expectation - Despite student hesitations or attitudes, the bottom line is that your class is an expected part of their education, and they have an obligation to do their job. A good strategy is to begin the year by doing a "My Job, Your Job" review of expectations. Let the enthusiastic students set the tone that everyone is expected to participate, and then hold them all to that expectation. Respect the Space - Teach students how to handle instruments carefully, practicing specific tasks such as removing xylophone bars. Listen to Each Other - Describe the different types of activities in the music class. For example, if one person is talking to the group, others should not interrupt, and raised hands should be used. On the other hand, if students are asked to collaborate in small groups, it is expected that they only avoid talking over their own group. Role-playing these situations can help students understand when it is appropriate to speak. Only Give Positive and Encouraging Comments - Teach students how to give each other feedback and suggestions without using hurtful phrases such as "I don't like it." Children thrive on structure, and want to know what will happen when they don't follow the expectations. If we don't explain and follow-through with consequences, the students will understand that there is no authority. Keep it Simple - Consequences do not need to be draconian or cruel. Often, the best consequence is simply a "time out" or break away from the class activity. For the majority of students, this will be effective, as they will want to rejoin the class and the exciting activities you have planned. Also, whether it's time out, writing a reflection, or something else, make sure the consequences you choose are easy to implement. If you make it difficult for yourself (such as finding students during recess to bring back in, or calling parents for minor issues), you may try to give more warnings and put off applying the consequence because you don't have time to enforce it. Follow Up - Ask a student to stay after class, or visit with them during a time out, to discuss the behavior seen and better choices. Ask to hear their point of view, so they understand that you are listening. When appropriate (say, after 2-3 time outs for the same student), call the family and let the parents know what is going on. Discuss ongoing issues with your administrators, and ask for strategies that might work for that student. Be Consistent - It's fine to give warnings/reminders, as long as you limit it to one. Being consistent can mean having many discussions and phone calls early in the year, but this will save you 10x the amount of teaching time later in the year. Also, be aware that students will quickly pick up on any variation in how you treat different students. While certain students may require specialized plans, be sure not to excuse minor misbehavior based on your own preferences of "good" students. Verbal Praise - A simple "Nice Job!" followed by some feedback on a project can really inspire students to keep working. Sometimes we can say "I like how ____ is sitting quietly" to indirectly remind others of the class expectations. Tickets - Many schools or classes use a ticket or "buck" system, where students can be rewarded with a quick slip of paper, which they can collect to turn in later for a simple reward item. Stop and Take a Breath - It is pointless to continue on with content introduction when groups of students are being disruptive, disrespectful, or defiant. Often the simplest way to refocus the class is to stop, mid-sentence, and sit and wait. Many times the other students in the class will ask the disruptors to be quiet so that you can continue. This also gives you a new "starting point" for reminding of expectations, and a chance to identify individual culprits for using your consequence program. 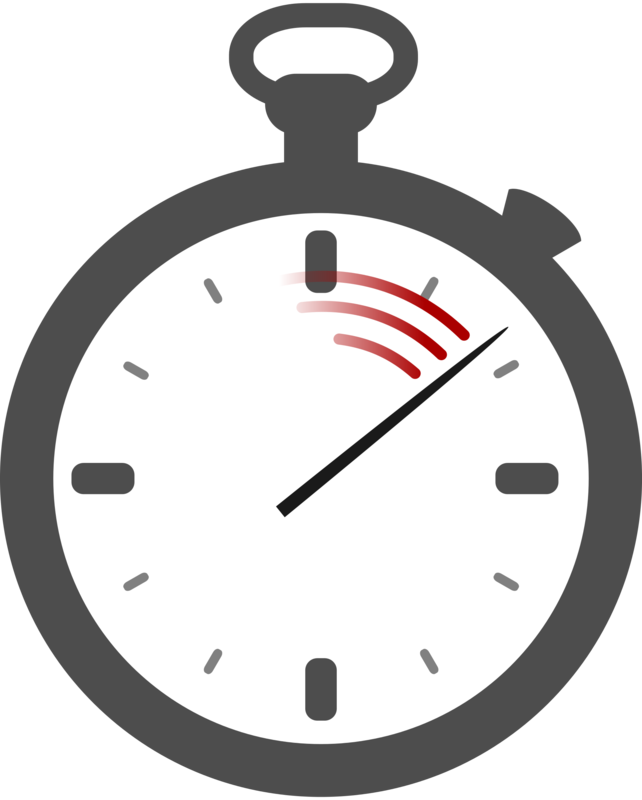 If a large group is arguing or talking, it can be hard to identify who should take a time out, but if you stop, get their attention, and remind them of the expectations, then you can immediately follow through with a time out for the first student that interrupts again. In order to truly have an impact on student behavior, it is essential to break it down into individual students, so that you can talk to them and their parents. Switch Activities - Sometimes waiting doesn't work, and the class will continue to talk. Take this opportunity to find a highly-prized reward for students who are on-task. For example, send a small group of focused students to have free instrument playing time, or hand out tablets for music game time. When other students finally pay attention enough to realize what is happening, they will want to join in the positive activity. This is when you explain that these activities are rewards for focus and listening. Ask for Help - When you are overwhelmed, no one benefits. Ask your administrators and colleagues for solutions to help you get back on track. Invite the principal to come sit in the room and observe. If you do this proactively, the principal will hopefully understand that you are making an attempt, and will try to support you. Unison.School teachers can now set up multiple rhythm assessments for each class, such as a pre and post test. When logged in, you will now find a Gradebook option in the Teacher menu. From the gradebook, select your school session and class, then create a new assignment with a title, due date, and rhythmic rubric. You will see each student with a spot for scores. When a student logs in, they will see their own scores, and a link to take the assessment. There is also the option to alter scores in the gradebook. At the end of each row is an average score for the student. Coming soon, teachers with an active subscription will be able to create their own rhythmic assessments, as well as use the gradebook for recording other non-Unison.School grades. Unison.School is now live and available for teachers nationwide (US). 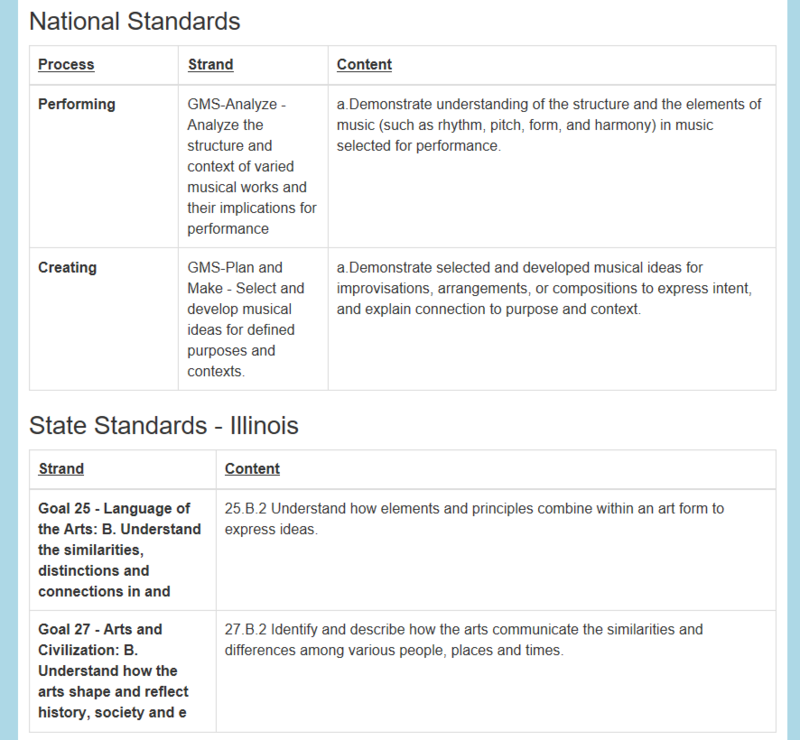 Just in time for the new school year, music teachers can now plan their classes digitally, with a unit lesson plan designer and rotating class calendar. To save time and check on how your students are doing, teachers can also assess students' rhythm skills with the rhythm assessment, which gives you and your students immediate scores and feedback. To get started, sign up for a free account, where you can try out all these features. Free accounts are limited to 5 unit lesson plans and 5 classes. Subscriptions are available for unlimited access monthly or yearly. Talk to your administrators about supporting you with this tool. Directions for every part of Unison.School can be found in the ? menu. You can also ask questions and give feedback to mailto:tim@cedarrivertech.com or on our facebook page. 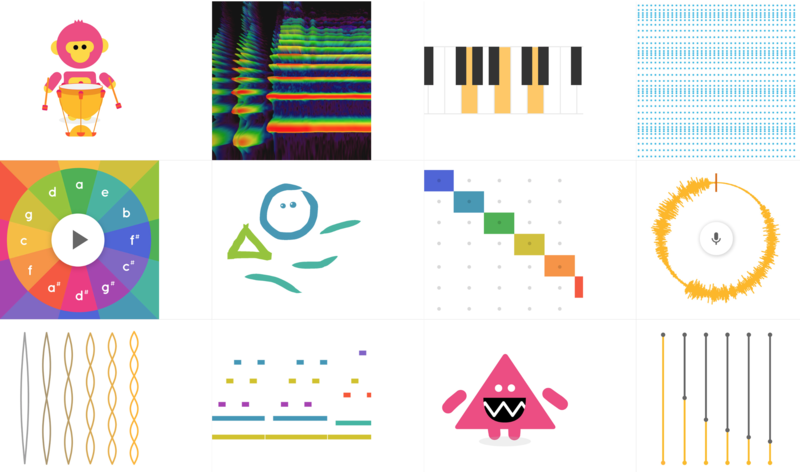 While we are aiming to make Unison.School your ideal destination for music education games and tools, there are a lot of amazing free apps already available on the web. We encourage teachers to check out these tools below. Google has created a suite of 12 interactive games that are accessible on any device, and can be played by children even in Kindergarten. Students can explore rhythmic patterns (ostinati), high and low pitch, chords, arpeggios, and even drawing their own sounds. 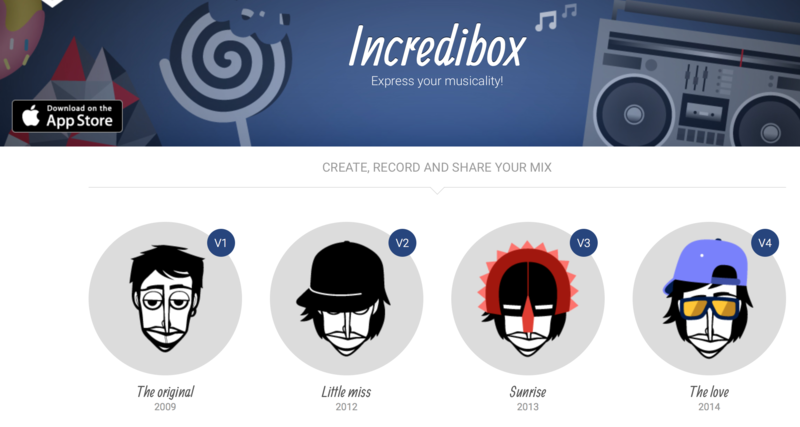 Incredibox is a drag and drop mixer of pre-recorded loop patterns (ostinati). Each pattern is represented by a cartoon man with a different outfit. While students cannot create their own patterns with this tool, they enjoy the different combinations possible, and the simplicity of starting. There is an "unlock" challenge that students can try for by finding specific combinations. 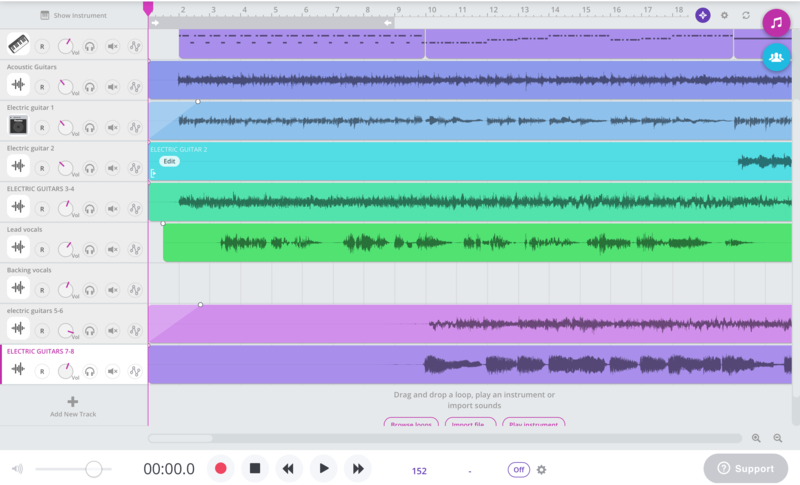 While less kid-friendly than the above tools, Noteflight has much to offer your class, especially as a teacher tool and for upper-grade students. 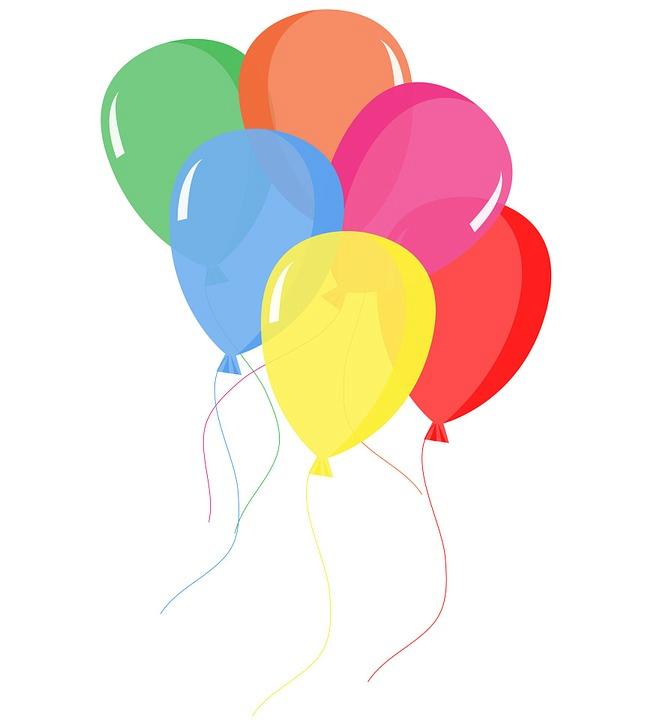 There is a free version to buy, and several personal and educational versions available. One excellent application is to show on a projector or smart surface the concept of transposition by simply pressing the up or down cursor. 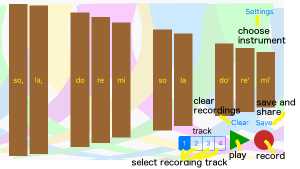 For a more studio mixing experience, less focused on notation, SoundTrap is an amazing online tool. This is free to try with a Google Account, and you can create up to five projects on a free account! Allow students with disabilities to play along without gripping mallets. Allow students to practice on their own, with headphones, or download and practice at home. Gives teachers a tool to try out melodies and arrangements on the go. Explore multiple instrument sounds and loops. Unison.School now offers a free beta trial service to teachers for lesson planning, class scheduling, and student assessment. 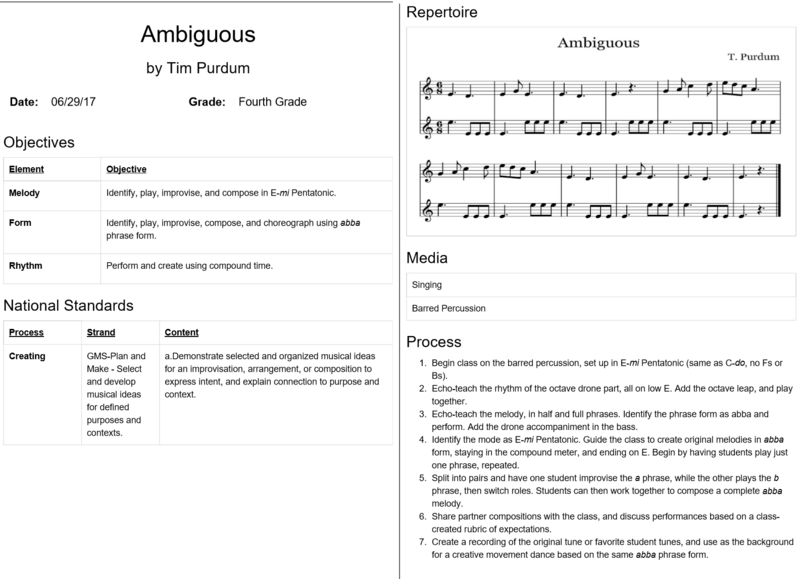 Based on the popular Creative Sequence Music Teacher app by Tim Purdum. Create a class, and set days in a rotation, days of the week, etc. The calendar will be auto-populated with class events. Edit individual class events, adding links to lesson plans, lesson steps with a check-off for completion, and changing times/days as needed. 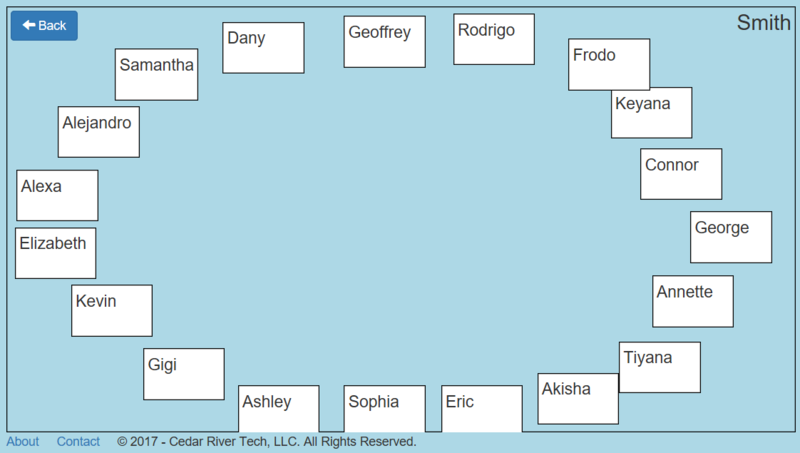 Create students with the class creator mentioned above. Students can log in by finding their school name, class name, and number. Students are only identified by numbers, unless you choose to add specific usernames. Once logged in, students that visit the rhythm page of Unison.School will be given ten rhythms to perform. After completing, the score will be saved back to the teacher portal. Like all of Unison.School, these tools are accessible from any device. To get started, create a free account. And please share feedback, so that we can make Unison.School even more useful for you moving forward!